What’s the Project? 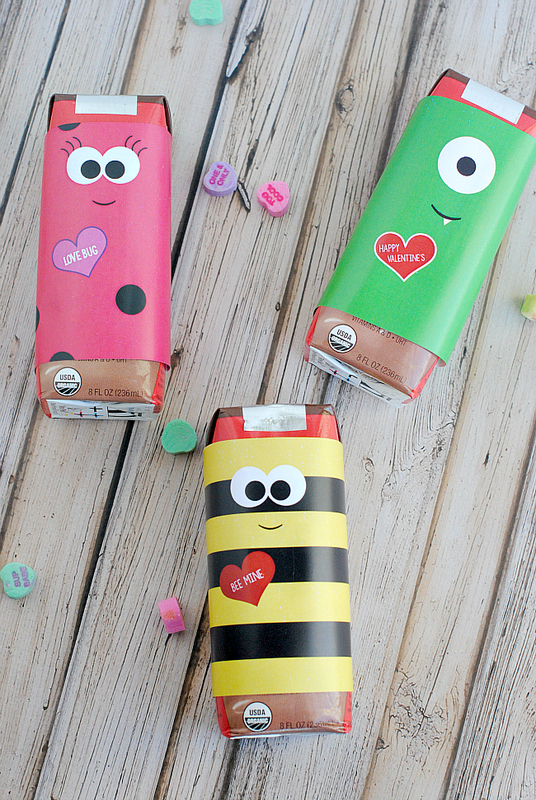 Here is a super simple but fun Valentine idea for the kids this year! 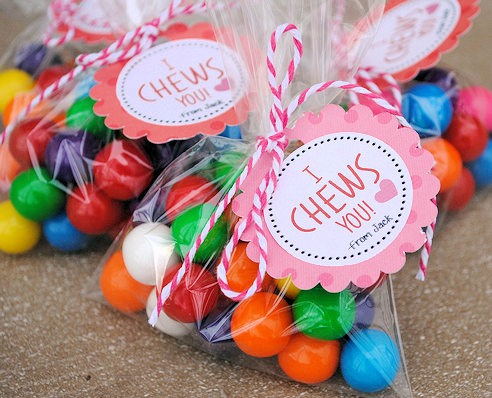 Package up some cute gumballs with a fun “I Chews You” tags! 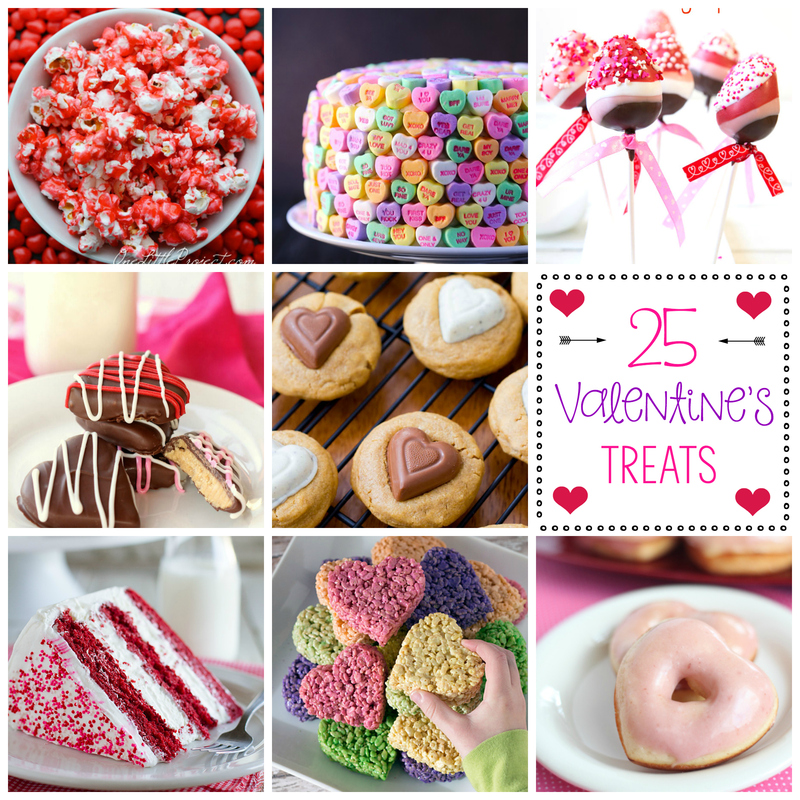 The kids will love it and it’s so simple for you! I know it’s too late for most of you to use these, but that’s ok, the idea will still be here next year. I love how they turned out. 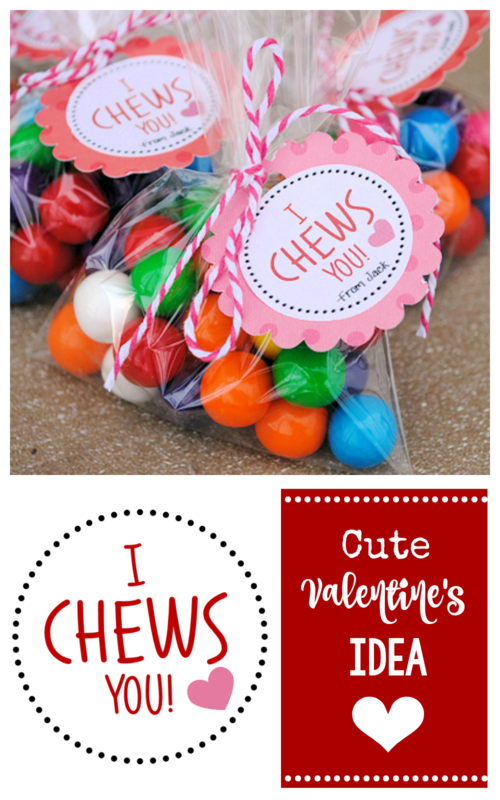 I “Chews” You Valentines with a free printable for you so you can make them too! Here is a template that has 6 on it. Or you can right click and save this. If you want to personalize it, just open in it in a photo editing program and add a name. (Need a tutorial on that? Try this. Hopefully, this is fun for you to give out! These are DARLING!!!!! I think I’ll make them for my (grown up) kids! 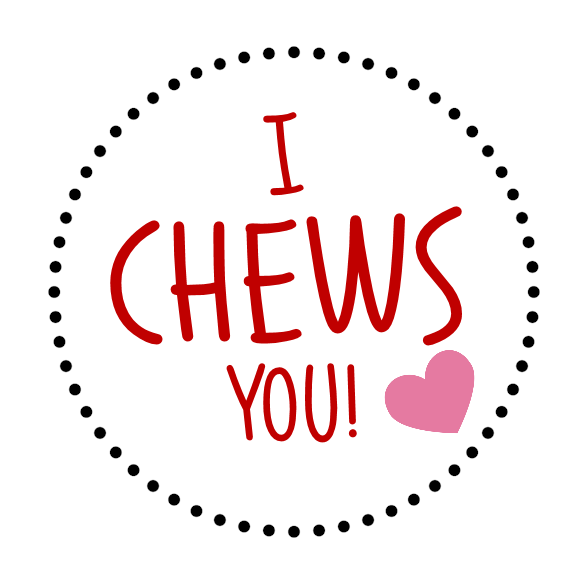 Franticly searching through Pinterest for a clever valentine and stumbled upon this. I’ve got all the supplies randomly around the house. Perfect! Oh that’s awesome! I didn’t think anyone would use this one this year since I just posted it yesterday! Thank you for sharing your idea with me. Make busy moments precious! These are so cute! But I must be doing something wrong because I saved the image and then when I go to print it’s a full-size thing – one giant “tag” per page… Is there another file that has smaller tags on it? Hello, Amber. Thank you for sharing your cute idea. We were looking for a cute tag which goes with our zipper-bracelets and fund raise events for kids! Hi! These are absolutely adorable and we will be making them for 2 of my 4 kids’ classes! I just went to try and download the printable and I just see one tag on a page as opposed to a bunch of small ones per page. Is there any way you could upload a file with multiple tags on a page so I don’t need to print out 60 pages? I would be so grateful! Thanks so much for sharing your creative ideas! Hi! Thank you for the printable! How did you add a name to it at the bottom? Open it in a photo editing program (I recommend PicMonkey online) and add it in. Love these! What size bags did you use? Also wondering how many valentines the one bag of gumballs filled – how big was that bag? I used the smallest cellophane bags I could find and used maybe 20 gumballs for each one?